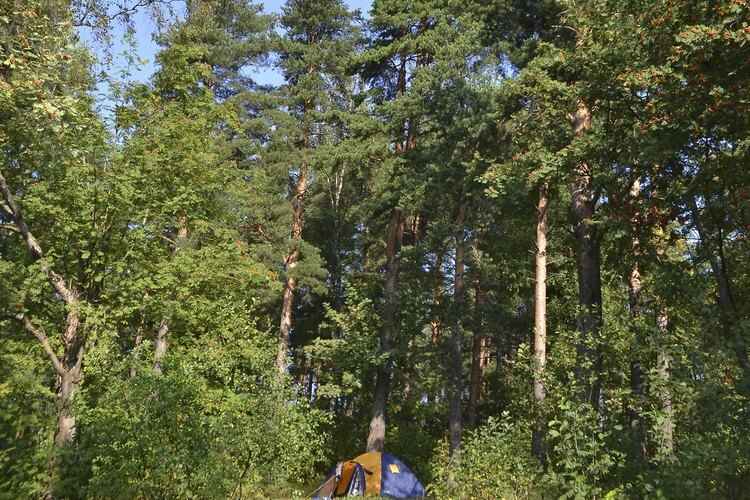 Camp grounds in St. Petersberg. St. Petersburg is located in a part of Florida suitable for 55-plus RV resorts. The beaches and outdoor leisure facilities provide plenty of opportunity for keeping active, while the shopping and dining areas in St. Petersburg and surrounding towns offer a range of options. Many over-55 RV resorts offer on-site amenities and entertainment for residents. RV resorts in St. Petersburg offer many local attractions for over 55s. Take a stroll down to casino cruise ships, watch greyhound racing or enjoy downtown shopping and dining. You can enjoy the nearby sandy beaches or stroll down to St. Petersburg Pier for a spot of fishing. The Palm Haven Mobile Home Park is a community for 55-plus residents located in the center of St. Petersburg, just off Highway 19. Baseball fans can take a bus from outside the park and head for Tropicana Field to watch the Tampa Bay Rays in action. Many RV parks provide facilities to keep residents active and entertained. Park amenities at Palm Haven include a library, karaoke nights, shuffleboard, bingo and a Jacuzzi spa. Robert’s Mobile Home and RV Resort is located one mile from the fishing and boating facilities available at Tampa Bay. The resort has a heated pool, Jacuzzi, mini-golf and shuffleboard where over-55s can keep active, or more relaxing planned activities such as bingo, bridge and crafts. You can keep fit with swimming pool exercise sessions, line dancing or Saturday dances. Tennis, volleyball and horseshoes are also available. There is plenty to do outside of St. Petersburg. You can drive to Walt Disney and other central Florida attractions. In the Tampa area, there is a choice of golf courses, the Busch Park Theme and the Florida Aquarium. Football fans can watch the Tampa Bay Buccaneers in action. In the Zephyrhills area, you have access to hiking trails at Flatwoods Wilderness Park or even try skydiving at Skydive City. There are further options in the towns near to St. Petersburg. Largo is 15 miles northwest of St. Petersburg, toward the Gulf Coast. The Yankee Traveler is a 55-plus community in the area, located close to beaches, golf courses, fishing and shopping. Sports fans can take in the action watching the Tampa Bay Buccaneers or horse racing at Tampa Bay Downs. The park has a full schedule of activities and events for residents including bowling, women’s golf and sequence dancing. You can also make use of the seven shuffleboard courts or the heated pool with Jacuzzi jets. You should contact individual parks for information on buying units on site. Annual and seasonal rents vary, and you can check on park websites or by phone. Check which services are included in rates before making any agreement. You may also be asked to pay deposits to secure reservations and pay toward electricity bills.